Currently they are offering the test for $59.99 and are shipping worldwide. Once your data has been sequenced it’s available to download as either a .vcf file with imputed genotype probabilities or file with SNP array data. On top of this you get a map of the world showing the areas each region covers. As usual the boundaries are rather fluffy (as they should be). These results are not too different from my results with other testing companies, however since my known ancestry is all British Isles the results are not earth-shattering. On top of the ancestry app the initial offering four genomics apps. These cover “Open Science” so that you can “Contribute to research and citizen science”, a “Sleep App – Are you a morning or evening person”, an opportunity to “Discover your microbiome” i.e. the “Bacteria and viruses that live in your mouth” and the most interesting one “YouGenomics India” which want to “Help improve genomics for South Asia”. 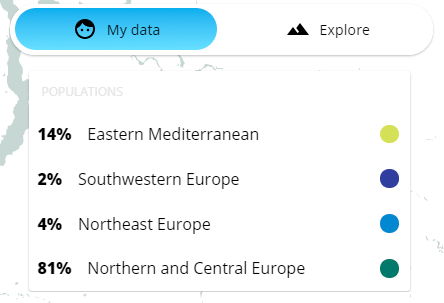 The later app is currently working with the South Asian diaspora in the United States to build a better quality biobank of South Asian people as well as using the data to provide more defined ethnicity estimates by breaking the South Asian ethnicity into ““Central Indian subcontinent”, “Southern Indian subcontinent”, and “Bengal”. Out of curiosity I’m planning to order their Whole Genome Sequencing. If I find anything interesting from the data, I’ll update this blog. 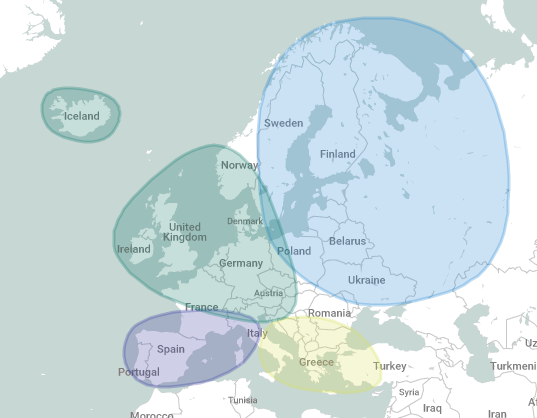 This entry was posted in Gencove, Genetic Genealogy and tagged DNA, DNA testing, Ethnicity Estimates, Gencove. Bookmark the permalink.